This Custom Damascus Godson features a black anodized aluminum frame with polished ivory Micarta inlays and a matching push button insert. 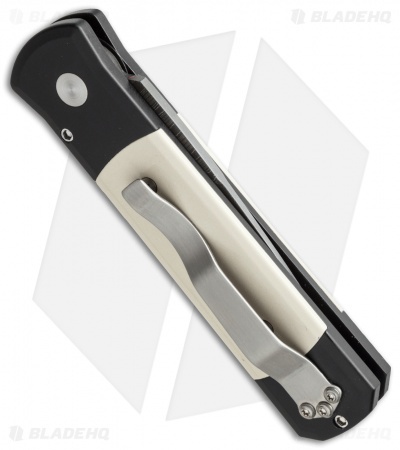 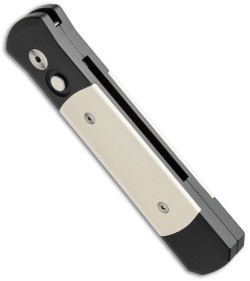 It has a hand satin finished titanium pocket clip. 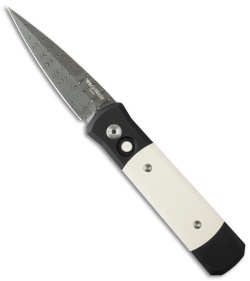 The blade is Devin Thomas "Herringbone" pattern Damascus steel. The action and lockup on this knife is superb, exactly what you'd expect from Protech.